Does your dog howl at thunder or bark during fireworks? You’re not alone. Noise phobias are one of the most common anxiety-related complaints of dog owners. Let’s take a look at everything you ever wanted to know about noise-related phobias in dogs, the ThunderShirt solution, and how the ThunderShirt works to put dogs at ease. Many dogs experience thunder phobias (or other noise-related phobias), but as pet owners, these can be frustrating and often incomprehensible. How can a dog that has been treated well be so afraid of something? The truth behind thunder phobias is: no one really knows why dogs are afraid of thunderstorms. Many veterinarians have conjectured about specific parts of the storm causing a fear response, yet no one is sure which one has the biggest impact. Behaviorists have been studying thunder phobias for years, including the impact of lightning, the sound of thunder, the sound of the wind outside the house and the sound of rain outside the house. Some researchers have even studied the impact of changes in air pressure and electrical charge in the air to pinpoint a cause for thunder phobia, but unfortunately, there are no definitive answers to date. There is some evidence that indicates that at least part of the storm phobia comes from a natural predisposition. A study published in the Journal of American Animal Hospital Association in July 2001 describes a relationship between certain breeds of dog and the presence of storm phobias. Interestingly, most of the dog breeds in the study described as having a predisposition to storm phobias were working or sporting breeds, such as German shepherds, collies and hounds. The authors of the study believe that this predisposition to a thunder phobia is a direct result of breeding for specific characteristics in these dogs. As the dogs are bred to react quickly to stimuli, they not only do so in working situations, but they also do so in the presence of other strong stimuli as well. 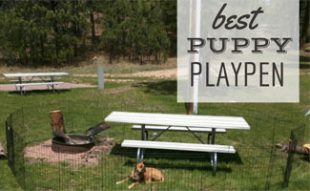 These breeds are trained to respond to stimuli with a specific response. However, when they are startled by strong stimuli such as thunder, there is no “go to” response other than the knowledge that aggression is not acceptable. So what is a dog to do with this startled response if they’re trained not to react with fear? This study suggests that they react instead with anxiety. In addition to studying dogs with a genetic predisposition to thunder phobias, the research also took a look at rescued shelter dogs as they also tend to have a higher rate of storm-related phobias. Unfortunately, due to the unknown background of many of these dogs, researchers can only imagine the reason behind these dogs’ phobias. The common belief is that many of these dogs were abused, abandoned and lacked socialization and exposure to a wide range of stimulus. 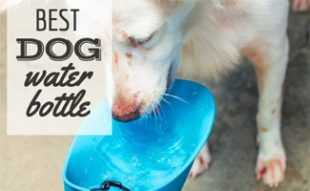 All of these factors can contribute to a fearful dog. Dogs that do not receive adequate socialization or exposure to varied stimulus are more prone to being afraid of the unknown and less outgoing and adventurous. Handling any fearful dog can be difficult, so it is important to know what to expect. If the dog you are working with is unfamiliar to you, then you should be on guard and keep your eye on the dog at all times. The reason for this is that some dogs will react to fear by snapping and if you are unfamiliar with a particular dog, it will be difficult to read their behavior and their responses to various stimuli. The best resource for tackling any fear-related problem in a dog is to speak with your veterinarian. Your vet will understand your pet’s needs as well as your relationship with your pet and can make a recommendation based on that alone. If a dog seems overly aggressive as a result of fear you should always contact a professional canine behaviorist and trainer who is experienced with fear responses to phobias. The ThunderShirt is a non-medicinal approach to treating fear responses. This is the preferred choice of treatment for non-aggressive, fear-response dogs. The ThunderShirt is basically a garment with adjustable fasteners that comes in a variety of sizes. It is made from durable and washable fabric that compresses much like Spandex does for humans. The ThunderShirt is based on the concept of swaddling or compression. Just as swaddling new babies can help them to feel more secure, compression can help anxious dogs to feel more secure. The pressure applied by the ThunderShirt has a calming effect that helps approximately 80 percent of dogs with anxiety to feel relief. The concept of using pressure to relieve anxiety has been used in medicine for humans as well. For example, many psychiatric dogs are trained to lie on top of their autistic or PTSD masters to help to relieve their anxiety by applying body weight. Does The ThunderShirt Work For All Dogs? Unfortunately, there is not one solution that works for everyone, and the same goes for the ThunderShirt. 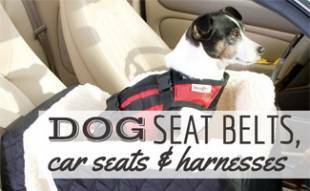 80 percent of dogs suffering from noise anxiety, fireworks anxiety, thunderstorm anxiety, separation anxiety, travel anxiety, crating anxiety and barking anxiety benefit from the use of the ThunderShirt. A percentage of dogs also benefit from the ThunderShirt when it is used in unison with other therapy methods, like behavioral training. There is a small percentage of dogs with anxiety that does not show any improvement in their anxiety with the application of the ThunderShirt. In the case of these dogs, ThunderShirt offers a 100 percent money back guarantee that ensures that if the shirt does not work for your dog’s anxiety, that you will receive a full refund. 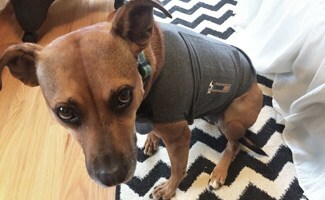 Why doesn’t the ThunderShirt work for all dogs? Just as with the human psyche, many components contribute to fear and anxiety, there are also many factors individual to a dog that influence how they are calmed. While compression works for many dogs, this is not always the case. For some dogs with deep-rooted anxiety, the ThunderShirt alone is not enough to remove the fear that has been compounded over ThunderShirt. For these dogs, a multi-pronged approach to “therapy” is recommended. What Is A Multi-Pronged Approach To Canine Anxiety? There is no way to know exactly how your dog will respond to any particular therapy directed towards their anxiety. Fortunately, many solutions can be brought together to create a multi-pronged treatment program. Behavioral therapy with a professional trainer and a ThunderShirt is one of the most recommended treatment programs. For some dogs though, this is not enough to defeat years of fear and anxiety. 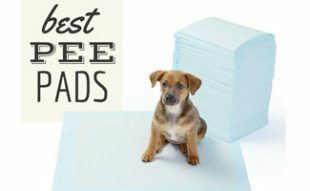 For these dogs, vets often recommend pheromone solutions that include DAP and calming collar disks. Other solutions include essential oils, herbal dog collars and even calming music. If these non-medicinal treatments fail, then holistic vets recommend seeking out herbal remedies before turning to prescription drugs which can have serious side effects. For some dogs though, prescription anxiety medications like Clomipramine are recommended. Canine anti-anxiety drugs are much like human anti-anxiety drugs and work by influencing the neurotransmitters in the brain. These types of medications are recommended for dogs that have no pre-existing medical conditions other than severe anxiety and those who have not responded to other non-prescription treatments. Why Try The ThunderShirt First? Here are a few reasons you should consider the ThunderShirt before resorting to other solutions for anxiety with dogs. and functions much the same way that the canine does. Be sure to check out our tips to keep Fido calm during fireworks for additional ways to keep your pup safe and sound during festivities for the Fourth of July. What makes your dog most anxious? Will they work on chihuahuas ? To my knowledge, the Thunder Jacket should work for a chihuahua. There are sizes available for dogs who weigh less than 7 pounds up to more than 110 pounds. So if your dog fits within that range you should be able to find an option. Thundersirt does not work. Otto is still anxious over fireworks and thunder. Sorry it doesn’t work for your dog. We know many dogs who benefit from them but there are still some who see no change when wearing the shirt.